Following on from my post about the Challenge of June for Ibiza Business, here is Kirk Field (writing exclusively for my blog) with his unique take on Ibiza Clubbing in June and the emerging festivals and destinations who are snatching ‘our’ talent (!). 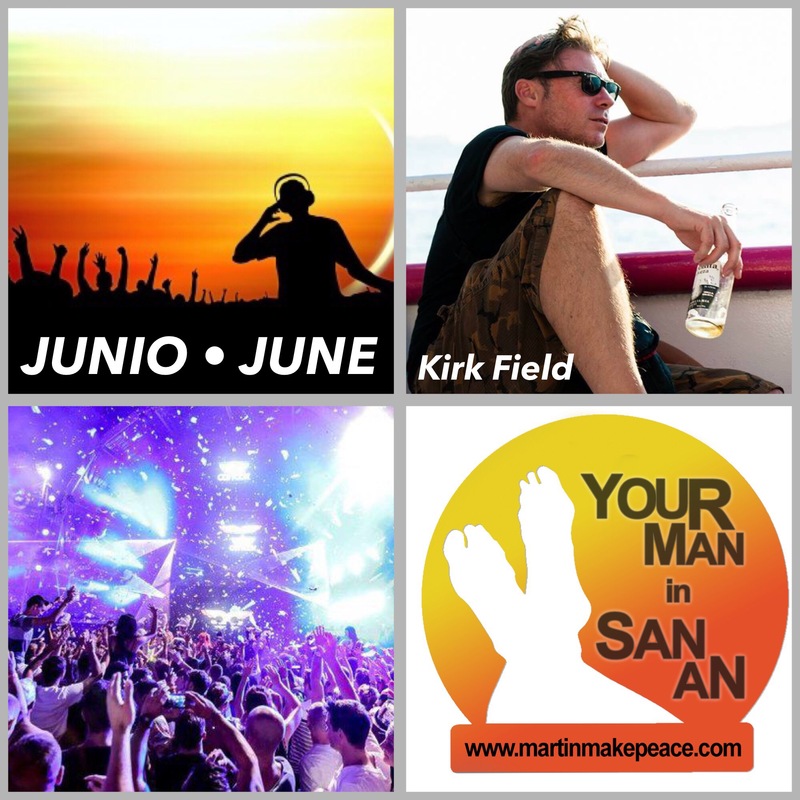 Kirk: From visiting Ibiza since 1990 as a journalist for Mixmag, I realised that June was the perfect time in the calendar to run large group events. The weather was fantastic, flights abundant and cheap, hotel owners welcoming with hotel beds at decent prices and more importantly, the superclubs weren’t road-blocked, meaning they’d do business; give my promoters slots and deliver fair group ticket deals. Success always breeds imitation, and often that imitation is pale. The clubbing travel market is no exception. In this case it means selling a package which is centered around one hotel (effectively ‘all-inclusive’), meaning the 400 students rarely leave the hotel, as it caters for their every need; daily pool parties, concerts at night…even their own boat party. Whilst this is a smart move on the part of the hotel, it doesn’t help a myriad of small businesses or venues who would normally benefit from their presence. Coupled with the pre-determined itinerary clubbing packages include, it means that recent years have witnessed a noticeable absence from ‘walk up’ customers at superclubs in June. The rise of EDM in America has led to Ibiza being displaced as the preferred booking for DJ’s. There’s a saying that goes, ‘every cloud may have a silver lining, but every star has an agent’. And agents will go where the money is. And for the last few years, that money has been not Euro’s but Dollars…and lots of them. In the next seven days, at least 4 major festivals – Firefly, Electric Daisy, Summerfest and Paradiso – all take place in the States. Each one bursting at the seams with a stellar line ups. Take a look at the party calendar on Ibiza Spotlight for next week; no Steve Aoki or Ferry Corsten…at their own parties. A similar thing happened at times last year with Carl Cox and David Guetta. Meanwhile over at mighty Ushuaia, flagship Swedish residency ‘Departures’ is absent from its traditional opening shindig on the last Wednesday in June…coincidence or proof that la Isla Blanca isn’t Numero Uno any longer in the DJ’s schedules? It’s not just the weakened line-ups which are affecting informed clubbers from booking in June. The resulting delay in announcing line ups is, I believe, a major factor in June’s reduced appeal for discerning clubbers. Each year the line up confirmations get later and later, now nothing is signed until after WMC in late March at the very earliest. At the same time flight prices rise and rise…as they become fewer; snapped up by musically less discerning visitors; typically hen and stag parties many of whom have never heard of Darius Syrossian or Seth Troxler. At time of writing, one of the club nights for my group next week has still not announced its line up…less than 6 days away, while another one major night was only confirmed in the last ten days. This isn’t because the promoters in question are lazy or incompetent; on the contrary, both work to a high standard and have been bending over backwards to get the talent confirmed, but I understand have struggled because of Ibiza falling down the pecking order in the big scheme of things. Together @ Amnesia announced headliners last Autumn and published (strong) weekly line ups in place by Valentines Day – so it can be done! By comparison, other promoters and venues appear to act like its 1995 and only start work on 1st April! For folk to book a clubbing-orientated holiday with specified line ups, in June, the balance needs to be paid 6 weeks prior to departure, which is early April. So you can appreciate it puts operators like myself in an awkward position; asking for balances for an event at which the content is not clear – would you book that holiday? This delay in clarifying which parties are happening on which nights, and what line ups people can expect has led to me deciding, after fifteen years, not to work in June anymore. OK, so it’s only 4-500 people, and Ushuaia won’t be requesting a overdraft upon hearing this, but my groups are indicative of the type of visitor the superclubs need in June; music-savvy, cool 20-35 year old’s, who book more than three nights, and who typically visit a major venue most nights, spending a considerable amount of money in the process. What’s more, these are the type of guest who stay all night, rather than ‘swing door’ it after taking a selfie at the back of the dancefloor and are in bed for 2am ready for another day’s posing at Blue Marlin. I think this is a pattern which has already happened; September is the new June; line up’s have been announced, people know what (and who) they’re going to get to see play…and they can still go to Glastonbury or Euro ’16. Kirk Field has championed Ibiza since discovering it in 1990. For the next decade he covered the island positively for Mixmag, Time Out and various National newspapers and magazines. In 1999 he set up Radical Escapes – the UK’s first independent clubbing travel company who have been instigating international insomnia (in Ibiza specifically), ever since. Is he the Persian bloke who lost the Battle of Marathon ? Whether you go in June or September doesn’t matter too much – as long as you still go! Let’s hope that EDM is a musical phenomenon that isn’t around for too long and that the focus shifts back to the White Isle very soon – we must keep the magic alive!